can be called extractive: aimed at extracting maximum short-term financial wealth. Kelly reports on emerging ownership alternatives fro all over the world, visiting a community-owned wind facility in Massachusetts, a lobster cooperative in Maine, a multi-billion-dollar employee-owned firm in London, a foundation-owned pharmaceutical in Denmark, a farmer-owned dairy in Wisconsin, and other places where an economy that works for all is being built. This is not a moment for old solutions and tired approaches. 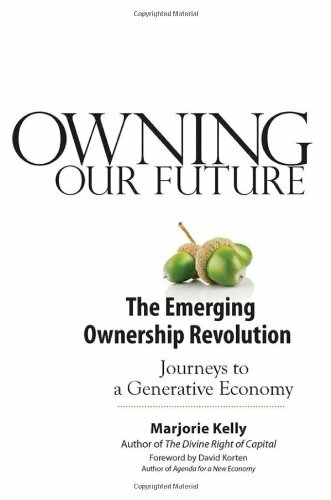 As we enter a new era of limits, alternative ownership designs can help it become a new era of fairness, sustainability, and community.